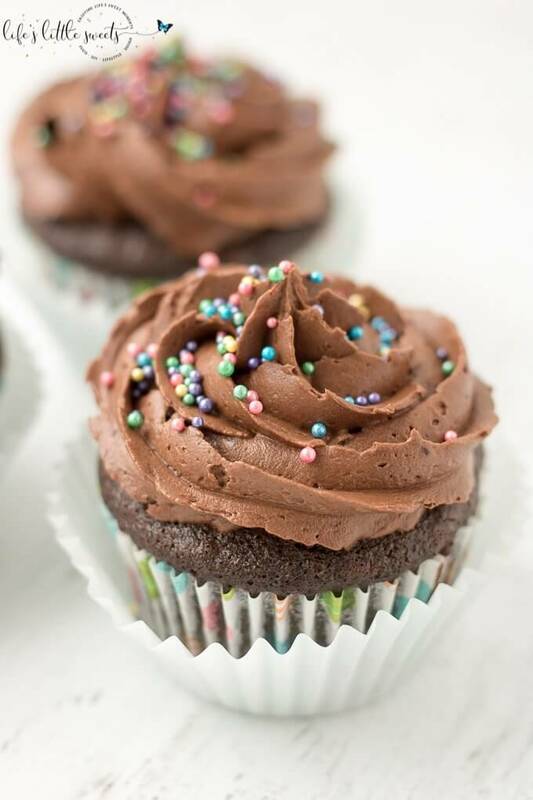 Chocolate Buttercream Frosted Chocolate Cupcakes - Classic Cupcakes! 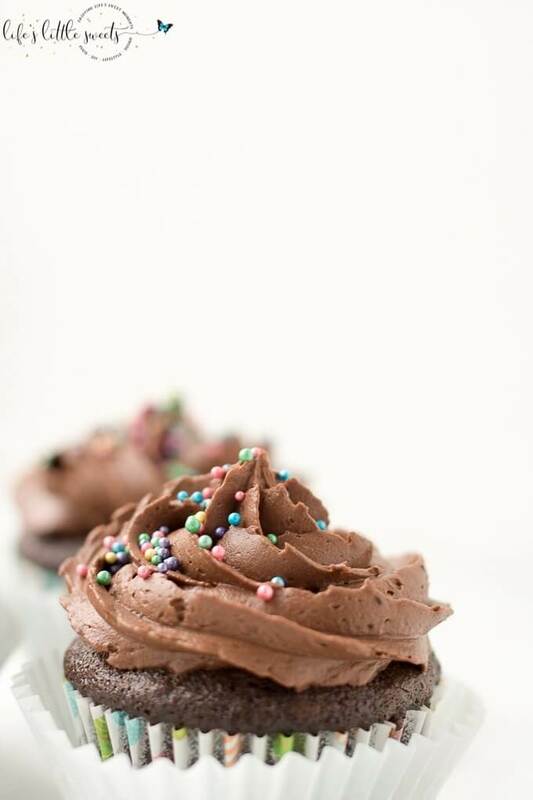 Hi Everyone, these Chocolate Buttercream Frosted Chocolate Cupcakes are the SUCH a treat. 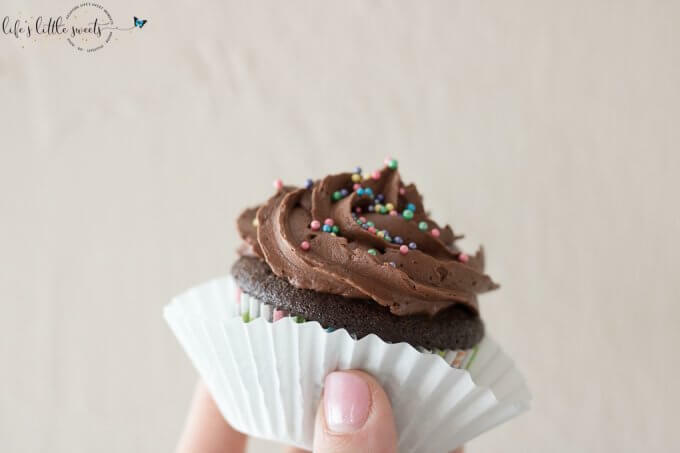 The cake part is moist and the chocolate buttercream frosting is the kind of frosting that you just want to eat and eat and eat…you need a solid chocolate cupcake recipe? You came to the right place! 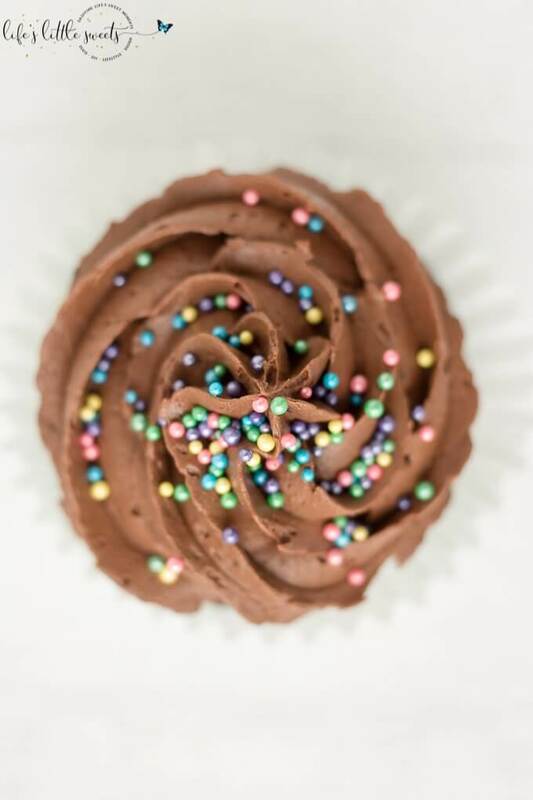 I topped these lovelies off with colorful sprinkles but you can do whatever color you want depending on what event/party you are making them for – or just leave them plain. 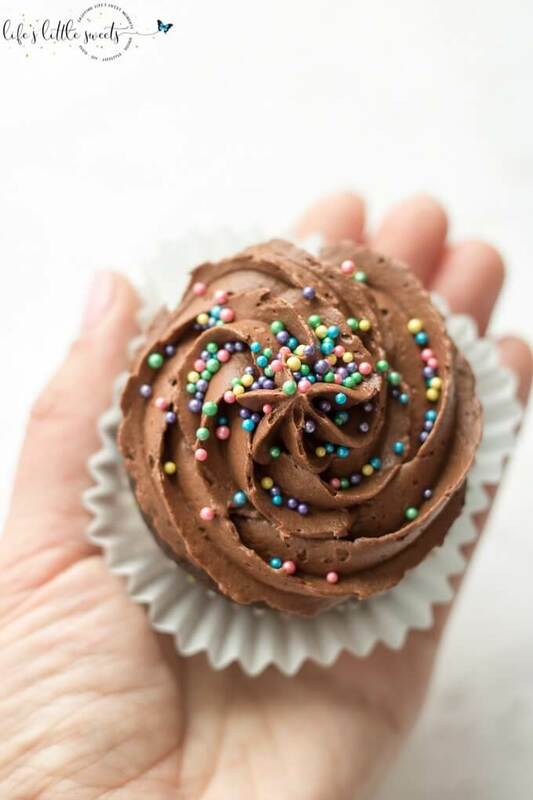 I highly recommend the OXO LARGE cookie scoop for scooping the cupcake batter into the cupcake liners, it gets the perfect amount every time! 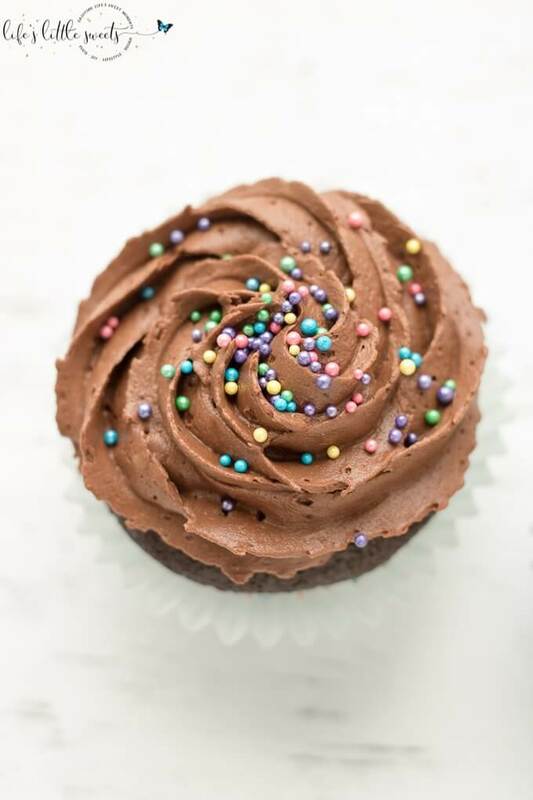 If you make these Chocolate Buttercream Frosted Chocolate Cupcakes, make sure to tag #lifeslittlesweets on Instagram, I love seeing the recipes people create from the blog! 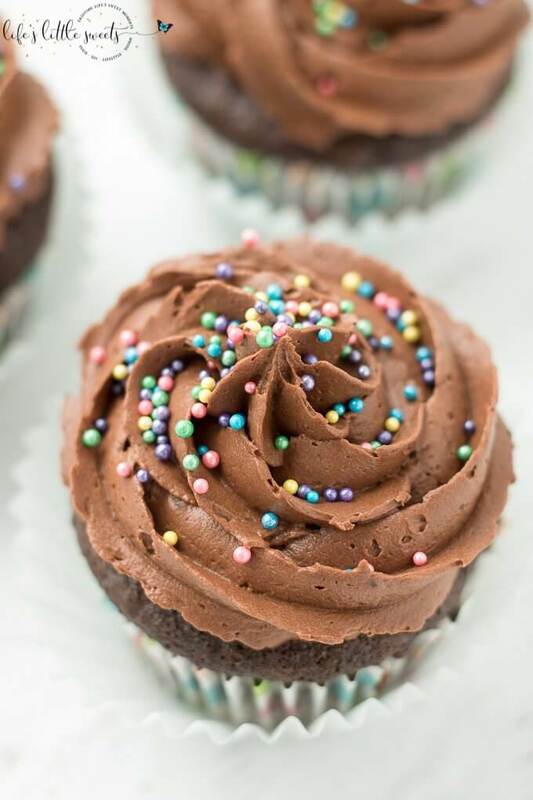 I know you will love these Chocolate Buttercream Frosted Chocolate Cupcakes! Preheat the oven to 325 and line a cupcake tin with 24 liners. 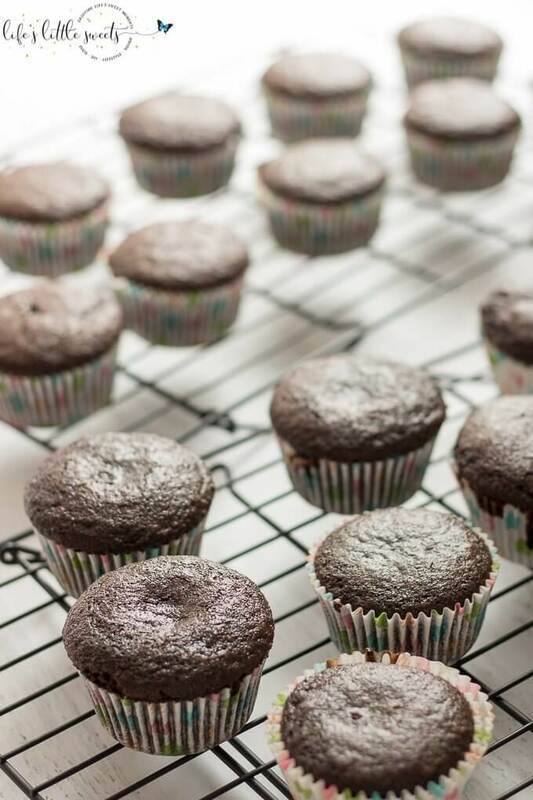 If you have 2 tins, you might need to bake in batches. 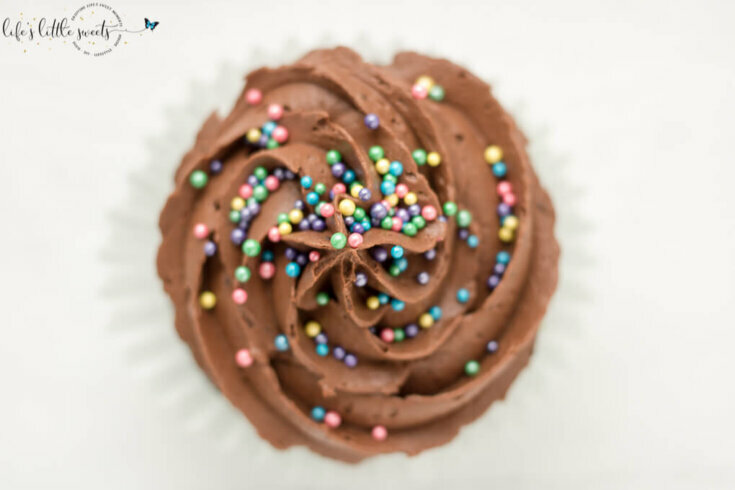 In a large mixing bowl, mix flour, sugar, cocoa, baking soda, baking powder and Kosher salt. In the same mixing bowl, add the 2 eggs, buttermilk, warm water, oil and vanilla. With a handheld electric mixing, beat until combined. Scrape down sides, if you need to. 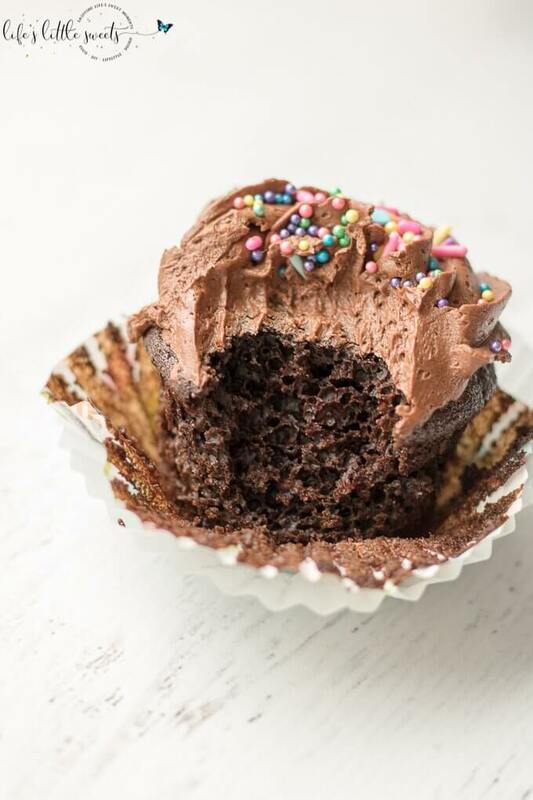 Using a large cookie scoop, scoop the cupcake batter into the liners. 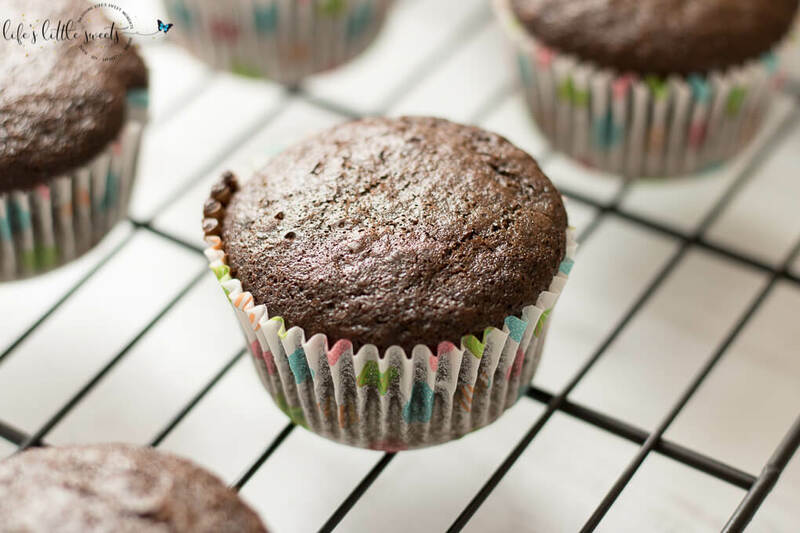 Using a baking spatula, get all the batter out of the mixing bowl, and evenly distribute into the cupcake liners. Each liner should be about 2/3 full. 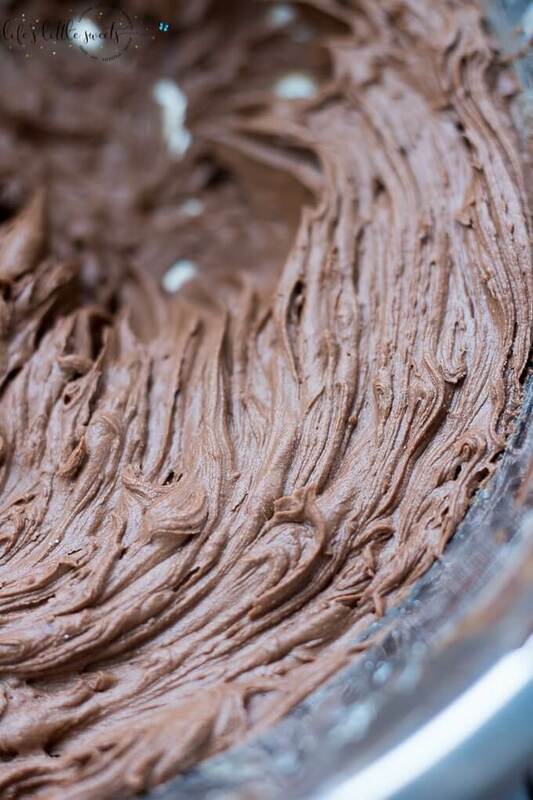 In a medium-large mixing bowl, using a handheld electric mixer, mix softened unsalted butter, cocoa powder and vanilla extract. Gradually add in confectioner's sugar and beat until combined, scraping down sides, if you need to. 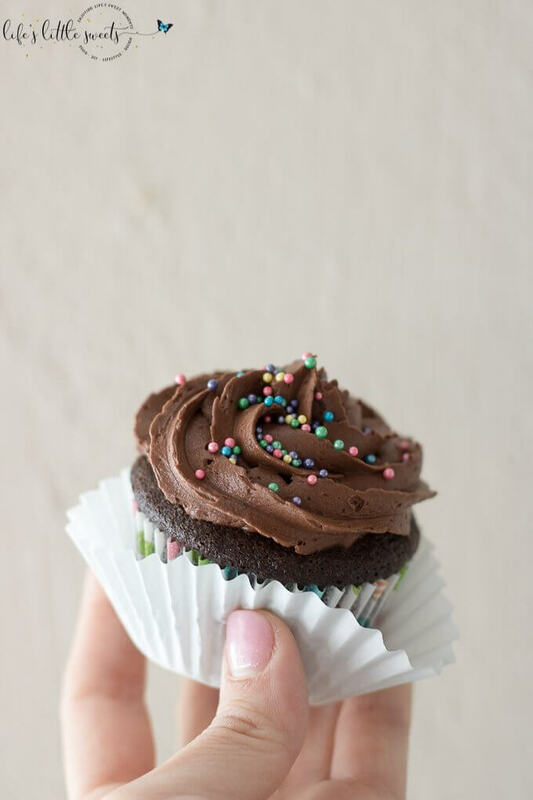 Spread using an offset spatula or pipe in a piping bag and pipe onto the cooled cupcakes. 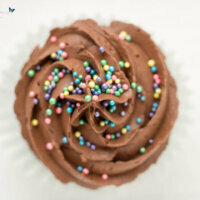 *I used a star tip for the cupcakes in the photos. 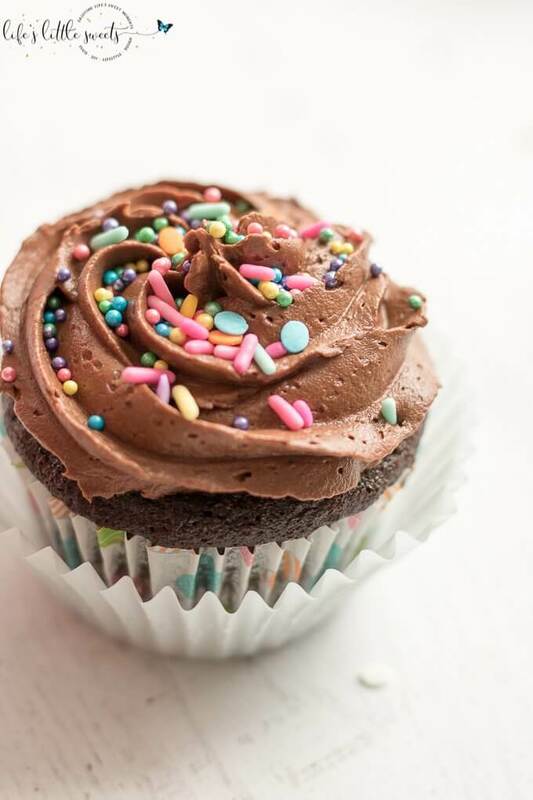 Sprinkle with your favorite sprinkles. Enjoy! 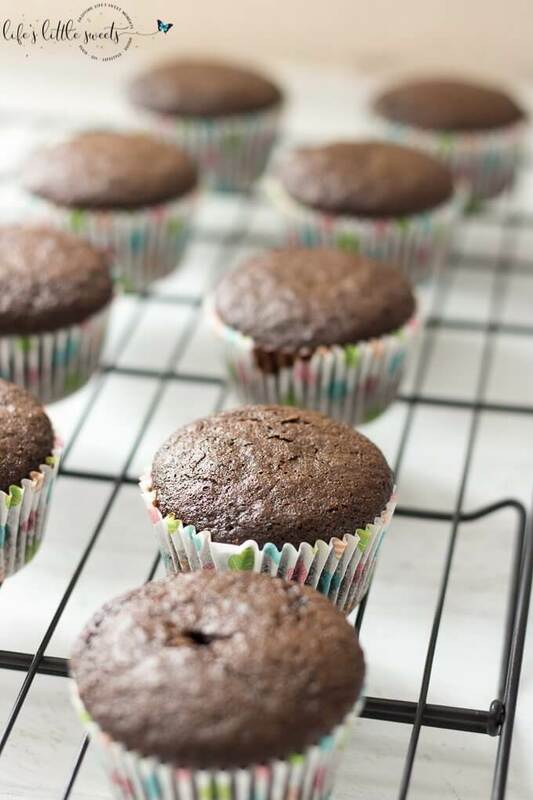 They look very moist and chocolatey!